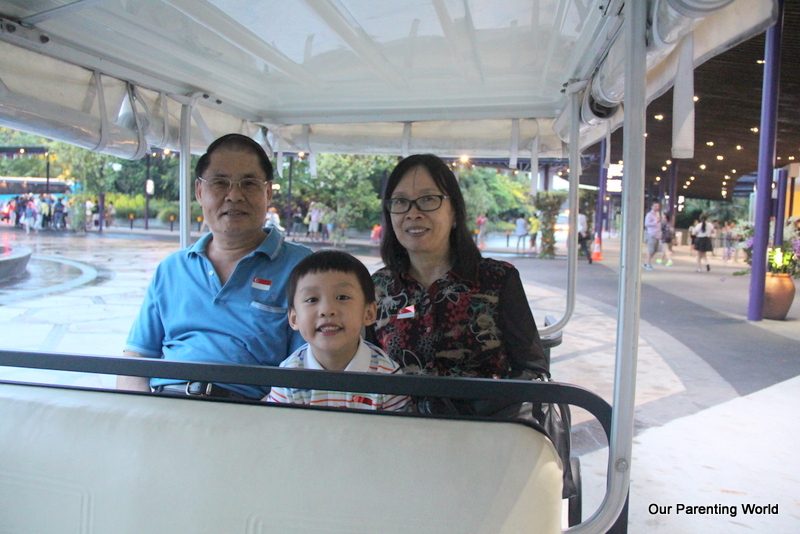 As we are approaching National Day and in celebration of SG50, Singapore’s Golden Jubilee, a good place to visit with the whole family and friends to celebrate and learn more about Singapore would be Gardens by the Bay. 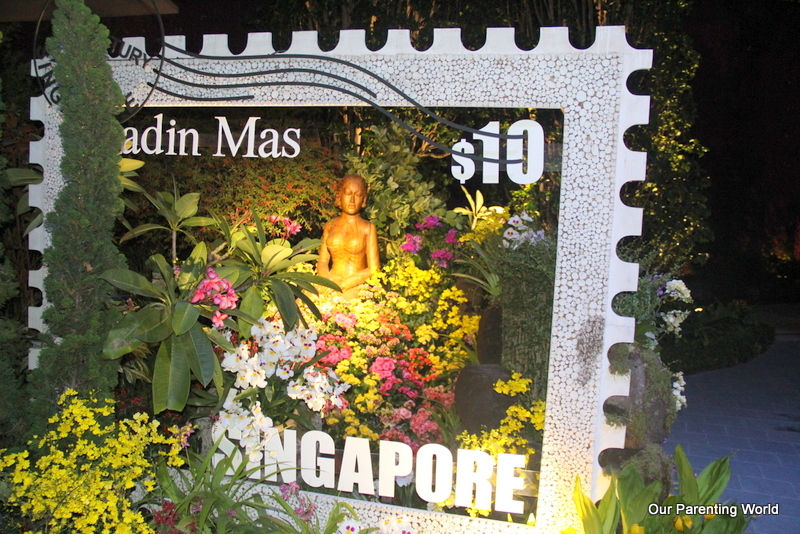 Visitors will get to see the 10 local legends from Singapore’s folklore brought to life together with a splendid orchid-themed floral display of more than 8,000 orchids and plants. 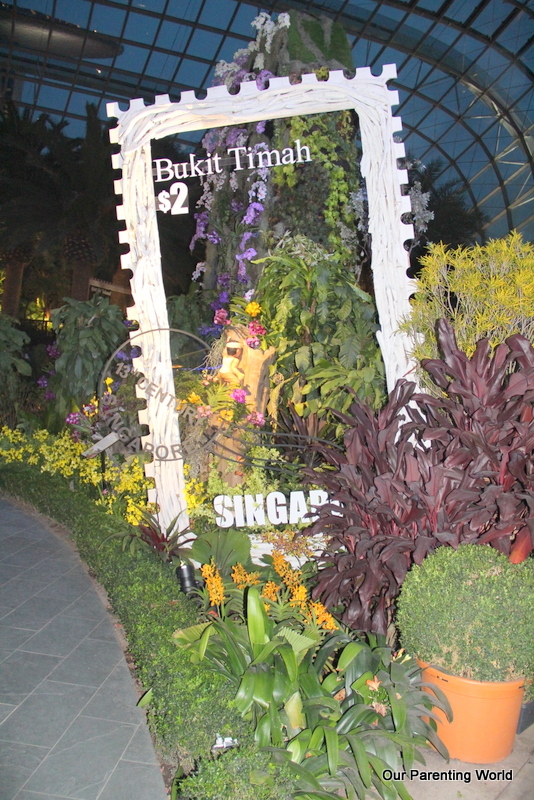 The floral display theme “From Tales to Legends: Discover Singapore Stories” at the Flower Dome begins with the story of Sang Nila Utama, the Srivijayan prince from Palembang who founded Singapura. 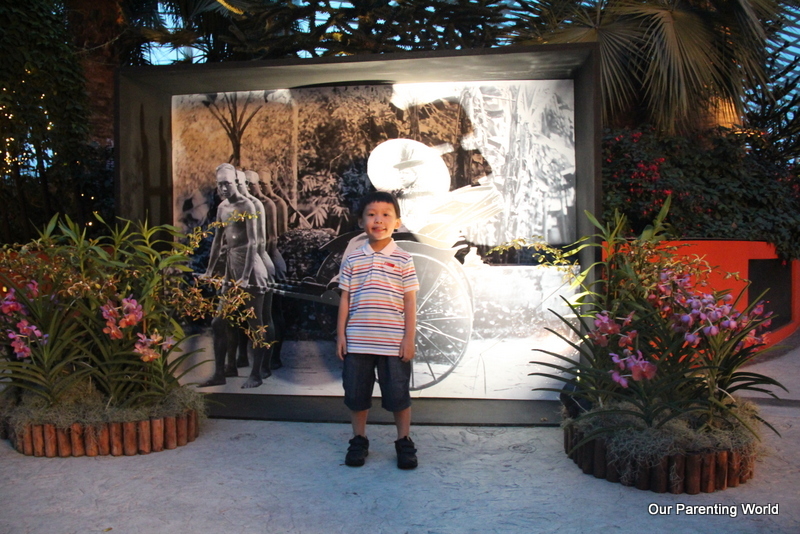 In addition, Gardens by the Bay pays tribute to the unsung heroes who had contributed greatly to the building of our country, elaborately carved wooden sculptures and structures of Samsui Women, Coolies, Amahs and many more were placed all over the Flower Dome. 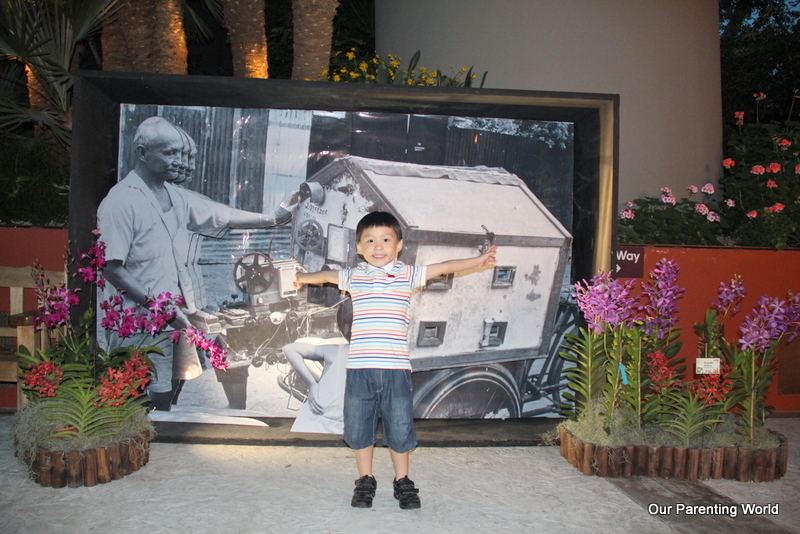 Giant Cardboard panels with 3-D images showcasing the old times where we had old streets, rickshaws puller, kacang puteh seller and others will bring us a trip down to memory lane. 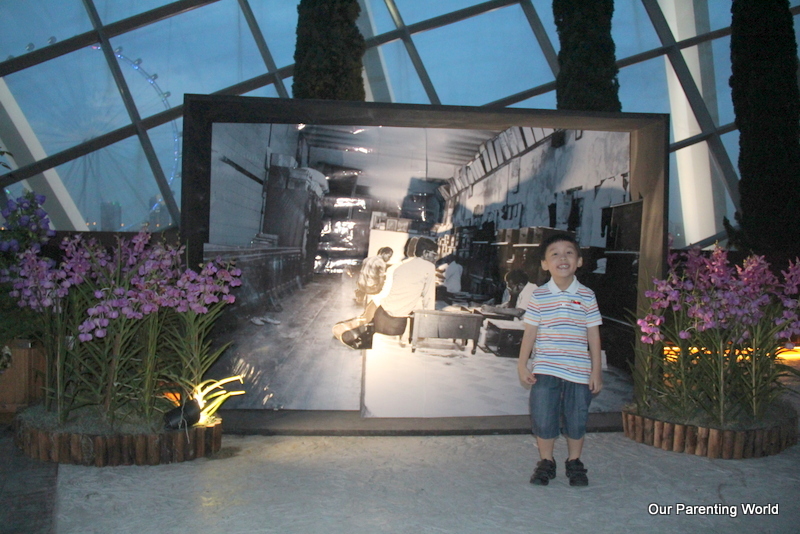 For the younger generation, it is a good learning experience for them to know more about Singapore in the past. 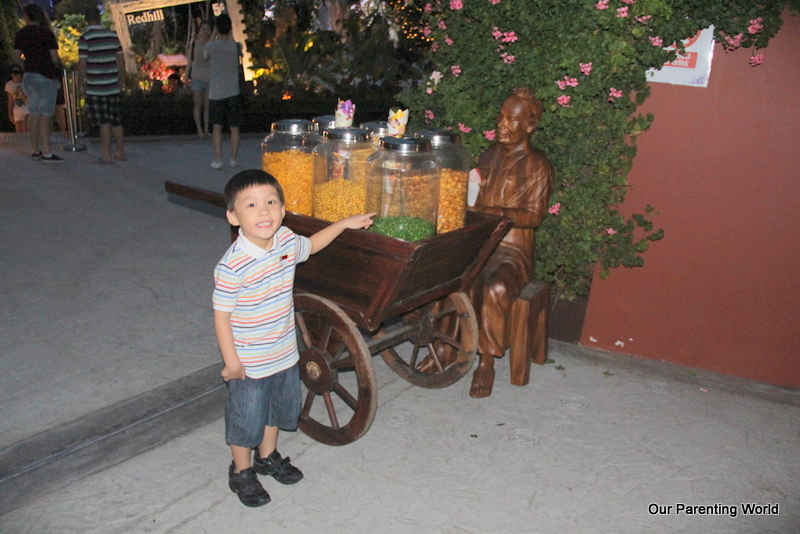 Look out for the display of an assortment of crackers, nuts, peas and beans that are stored in individual containers at the kacang puteh seller’s cart, one of the hotspots for photo-taking. Do you want a kacang puteh? 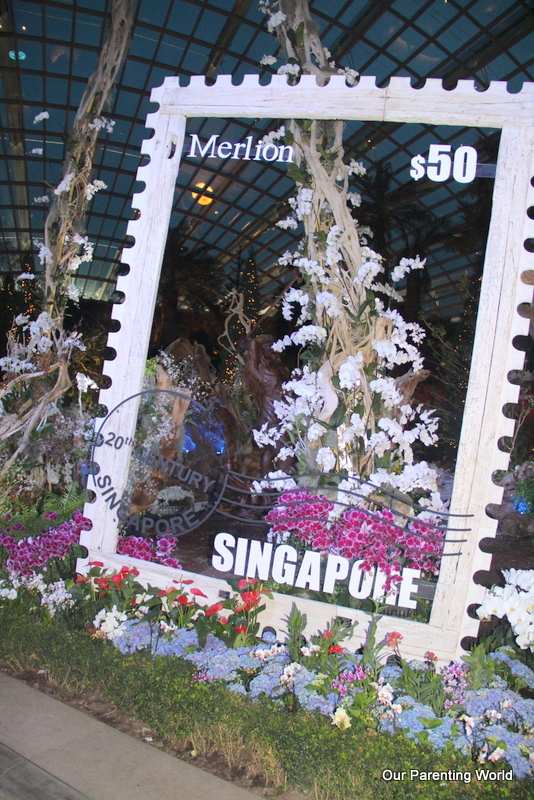 Be wowed and amazed with the elaborate display of floral interpretation of Singapore Stories showcasing well-known Singapore’s location like Redhill, Bukit Timah, Radin Mas, the Merlion, Sister’s Island, Pulau Ubin, Kusu Island and many more. At each of the Singapore Story display, visitors can read the information panel located besides the display to understand more. 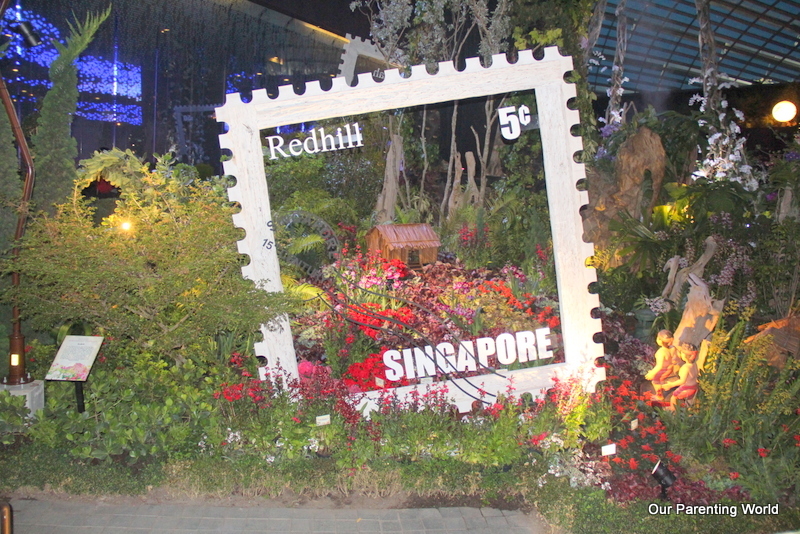 The display is designed by award-winning Singaporean landscape architect Damian Tang. 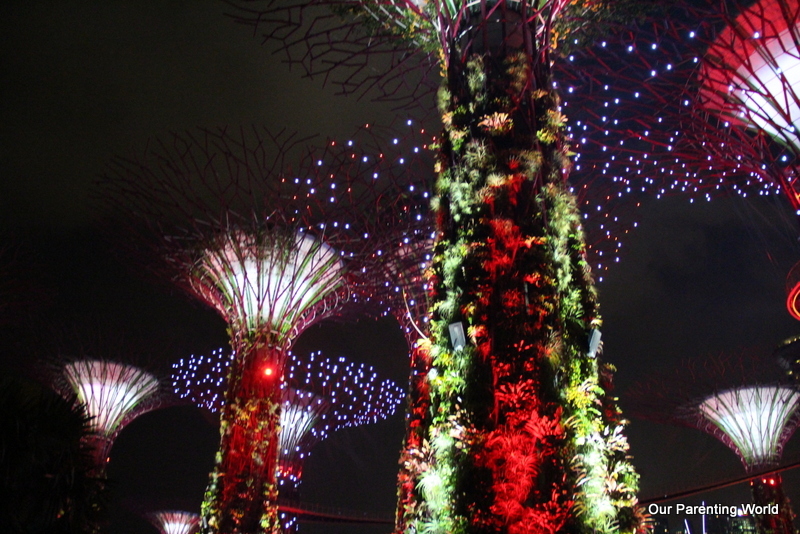 Do visit Gardens by the Bay during the Golden Jubilee weekend from 6 August to 10 August 2015, for the first time laser imagery will be used on the Supertrees Grove in the SG50 special edition of the nightly “Garden Rhapsody”. 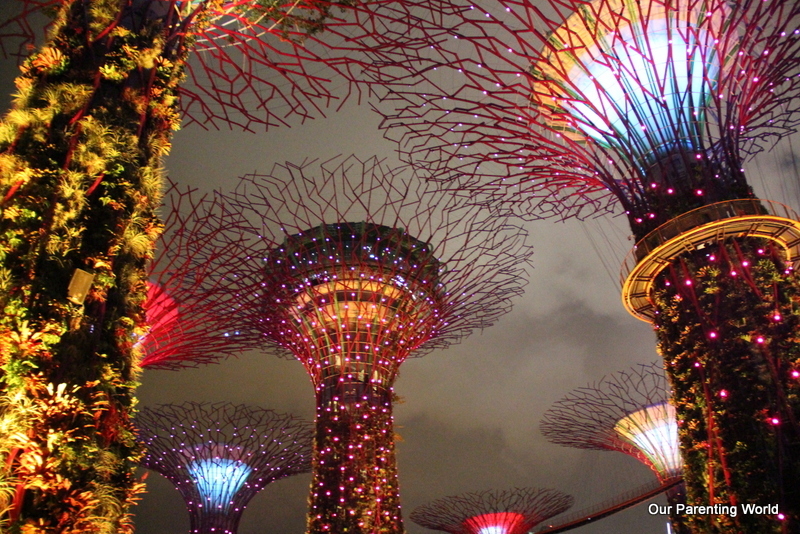 The Supertrees will be beautifully light up and comes with music composed and arranged by Bang Wenfu and vocals by Singapore’s most prominent and popular musicians. The event is held at Supertree Grove, a SG50 Special show on 6 to 10 August 2015 at 7.45pm, 8.30pm, 9.15pm & 10pm. 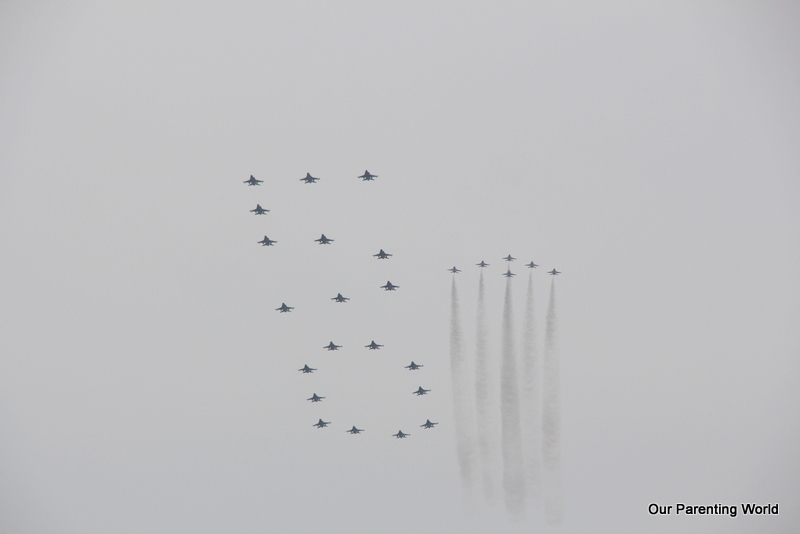 11 August to 13 September 2015 at 7.45pm and 8.45pm. The show is about 12 minutes and it is free for all. 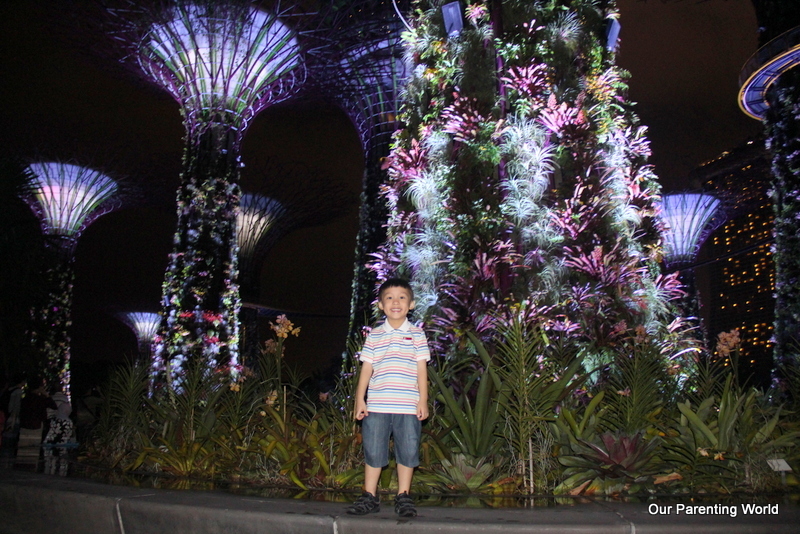 Feeling hungry after visiting the beautiful Gardens by the Bay and enjoying the laser imagery at the Supertrees Grove? Head down to Satay by the Bay during this Golden Jubilee weekend. It is a good place for families and friends to bond while enjoying a wide variety of local delights at affordable prices in a garden setting by the waterfront which will remind you of the hugely popular old Satay Club. Yummy! 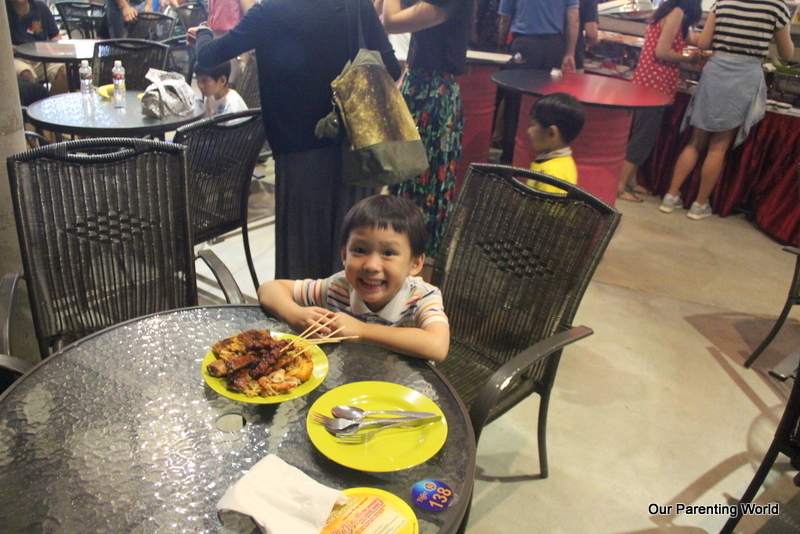 We enjoyed the delicious food at Satay by the Bay and some of our favourite food are Satay, Hokkien Mee, Sambal Stingray, Pratas, BBQ Chicken Wings, there are so many …. whatever your favourite food is, you can find them all at Satay by the Bay. Diners can look forward to indulge in local hawker fare from 19 stalls along with 6 Satay Carts as well as a Bar and Bistro Corner. There are 30% of the stalls which will serve food that are either halal or with no pork or lard to cater to Singapore’s multi-ethnic and multi-racial community. Diners can choose to dine indoor or outdoor and the price is at an affordable range of $8 to $20 per person. Opening Hours: 11am to 10.30pm for most food stalls and drinks stall open for 24 hours. Hurry grab your free trail map (while stocks last), with every conservatories ticket purchased. For locals – residents can enjoy 50% off tickets to Conservatories. Local senior citizens (60 years and above) enjoy free admission to both Conservatories anytime from now till 31 August 2015. 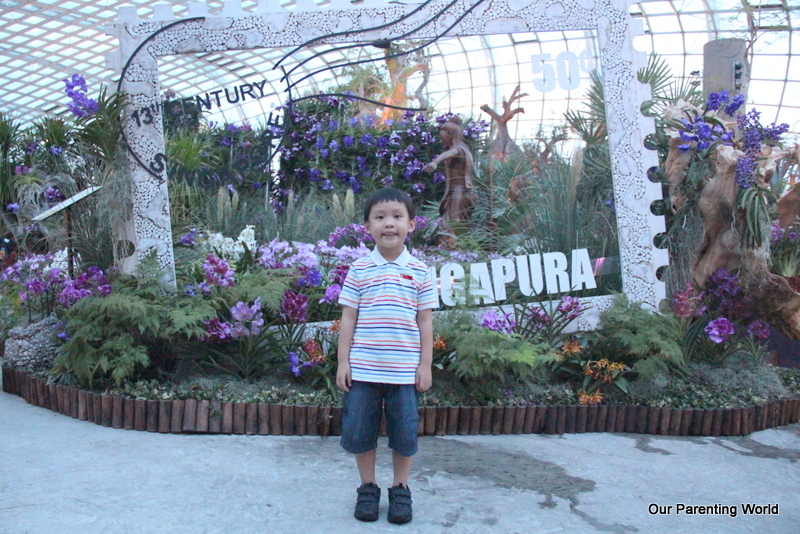 One accompanying caregiver get to enjoy 50% off the ticket to both Conservatories. For tourists – one child enjoys free admission with every two Adult standard double conservatories tickets purchased anytime between now till 31 December 2015. 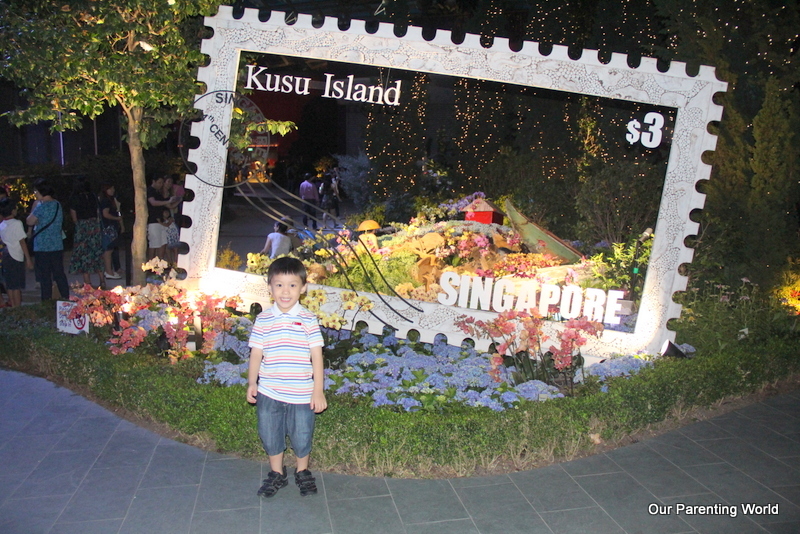 Guests have to print out the offer from Singapore Tourism Board’s Golden Jubilee page to enjoy the promotion. 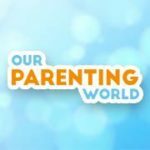 Looking for something unique and fun to do this National Day eve? Join us at Gardens by the Bay for a delightful dance performance set to your favourite Singapore tunes! All the above programmes are free.